The gears are finally moving with this episode. It has been quite a slow start, but with Ookarin finally feeling the Butterfly Effect, things will be more carefully planned out, I would assume, for each D-Mail they send. To be honest, Kurisu warned him of the huge possible effect of tampering with time. He probably just didn't understand it enough to understand the effects of altering time. 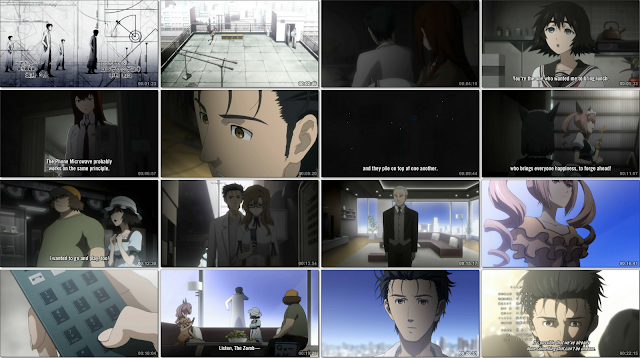 This episode is about the moment that Ookarin is at a fork in his life. He always acted however he wanted, pretty much immature, but like they say, with great power comes great responsibility. A time machine is pretty clearly shown as a responsibility that he can not handle yet. Ookarin liked to live in his delusional fantasies to begin with; I'm surprised that the other lab members even believe him. To them, he could be making up all the changes himself. This was a pretty heavy Feryis-centred episode, spammed with tons of ~nyan~. 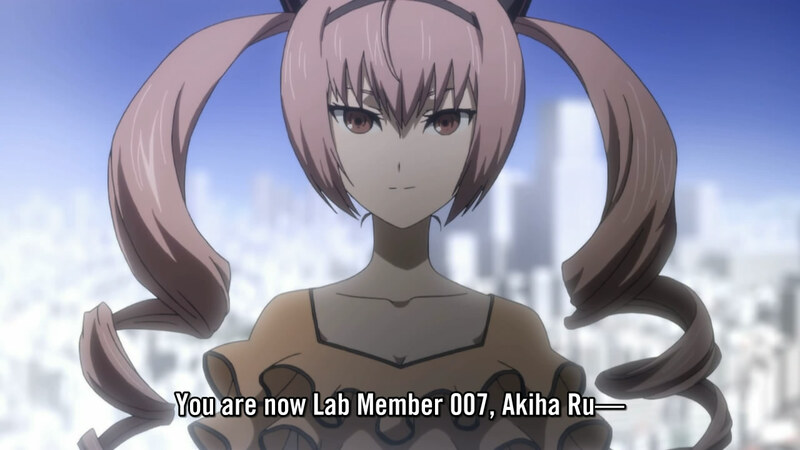 The only real problem I have with her character is they've never explained how she met the other lab members. 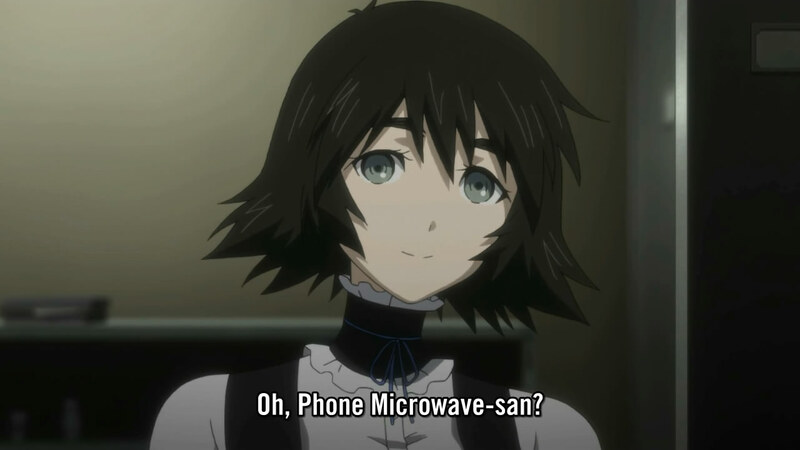 I guess I assumed either Daru or Mayuri were first exposed to her, through the maid cafe. The fact that they still know each other is still sketchy after the timeline change. I guess I can only hope they explain this point better later, but I would probably chalk this up to poor writing at this point. 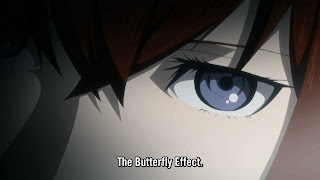 The main point tackled by this episode was the Butterfly Effect. 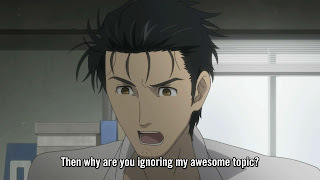 Kurisu clearly warned him that tampering with time was a big deal, but I am still inclined to believe that Ookarin wasn't smart enough to understand. After all, if he was a real scientist, he wouldn't need to be explained some simple concepts. We can clearly see the effects of this twice when a message was sent much further into the past. 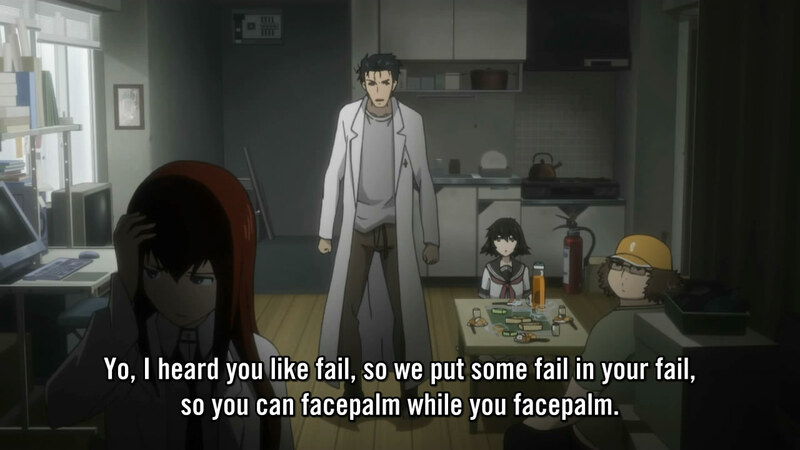 I think it was pretty well explained in a nutshell in this episode, which isn't easy. How the character personalities and relationships don't change much though is an inconsistency. The Butterfly Effect is for people that believe in cause and effect, while something like meeting and knowing Feyris in the alternate timeline seems to dabble more with traditional "fate". They were "destined" to meet. This is a slight conflict that was created. I guess it will take a couple more episode to see how well these things are integrated, but tampering with time is messy. I don't think any story has done this flawlessly, due to the large number of things that must change to flesh everything out. So, it was a wig... She looks odd without the wig and maid costume on. I guess they did a good job foreshadowing of the change that would occur with her D-mail before it was sent through. Though, attributing moe culture in Akihabahara purely to her seems a bit farfetched. I think a technological place would always have a mix of anime and moe things to it. It might be lessened, but not to the point of zero - not with a 10-year gap, at least. There just isn't enough time, especially when Feyris looks so young and probably was not old enough to actually make any kind of business decisions to totally shut it out. This episode was definitely the best of this season, and one of the best episodes of all anime this season. The final realization scene from Ookarin was just amazing; it portrayed really well that he is in over his head. 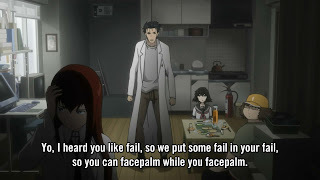 Thinks are finally looking up for Steins;Gate after quite a few slow episodes. An episode like this was exactly what it needed to bounce back in my books. This has definitely opened up the room for Ookarin to grow as a character and "continue being a messiah".